Hi-Tech Seals can supply both piston and rod buffer seals, however, the majority of our stock consists of rod seals. 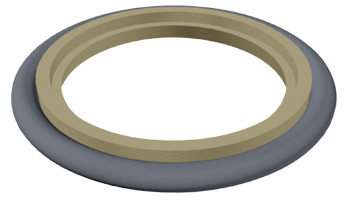 Buffer seals are usually used in combination with another rod seal, typically a U-cup style seal. Buffer seals in rod applications are designed to absorb pressure fluctuations when working under high-load conditions. This serves a purpose of increasing the lifespan of the rod seal.